Sometimes the foods we have around our homes pose a dangerous threat to our beloved pets. Here is a partial list of common household foods and plants that you should keep away from your cats and dogs. Dogs and cats are much more sensitive to alcohol than humans. Even a very small amount can cause significant intoxication. It can cause vomiting, lack of coordination, disorientation, lethargy, listlessness, coma, seizures and death. Pets showing signs of alcohol intoxication should be closely monitored and if they appear unable to stand up, call our practice immediately so that we can monitor them through recovery. Avocado fruit, seeds and bark can contain a toxin that causes stomach upset in cats and dogs. If they eat a significant amount of avocado flesh or peel they may experience vomiting or diarrhea. Eating the pit can cause obstruction of the GI tract requiring urgent veterinary care. However, the avocado present in some pet foods is not hazardous to dogs and cats. 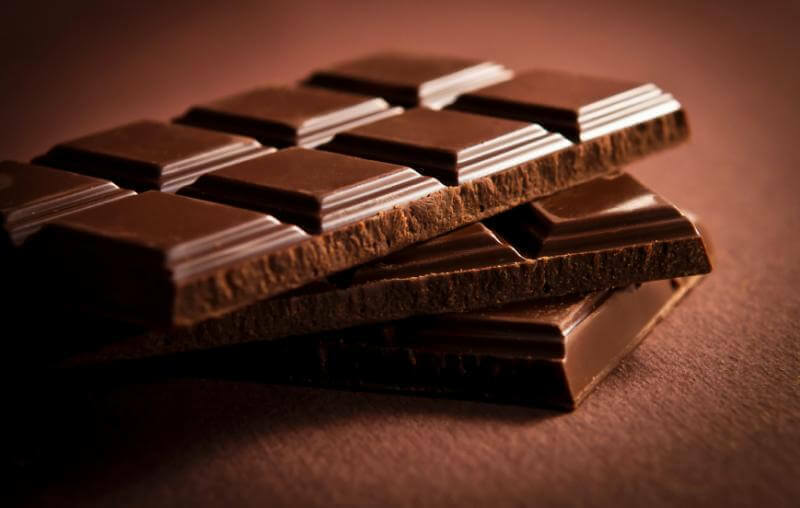 Chocolate contains both caffeine and theobromine which are toxic to dogs and cats. Generally the darker and more concentrated the chocolate, the more dangerous. For example, unsweetened baker’s chocolate and cocoa powder pose very high risks especially if ingested in a large quantity. Milk chocolate or foods containing smaller amounts of chocolate like chocolate chip cookies, pose less of a risk, especially in a small quantity. Signs of toxic reaction from chocolate can include vomiting, increased thirst, agitation, muscle tremors, quickened heartbeat, fever, seizures and death. Both contain caffeine which can be bad for pets. Caffeine can cause restlessness and vomiting. Dogs and cats can develop kidney failure from ingesting grapes and raisins. Initial signs of a toxic reaction can include vomiting, diarrhea, and lethargy. Advanced signs may include dehydration, refusal to eat, and increased or decreased urination. Please keep in mind the toxin and dose are unknown when grapes and raisins are ingested so the potential for toxicity exists even with one grape. Members of the onion family including shallots, green onions, chives and leeks contain a compound that can damage your pet’s red blood cells if ingested in large quantities. While just a bit of raw onion may not cause much harm, dehydrated and concentrated forms such as garlic powder or dry onion soup mix may cause toxosis. Often your pet won’t exhibit signs for three to five days. Contact our practice right away if you pet appears weak and lethargic or if their urine is orangish or red. Most adult dogs and cats are lactose intolerant and have difficulty digesting milk. It may cause upset stomach and diarrhea. These nuts can cause signs of paraylisis and neurologic issues if eaten. Walnuts in general are not toxic. However, they are prone to growing molds that can produce toxins that can cause serious illness and death. Black walnuts contain the toxin Juglone which while causing laminitis in horses, may cause lethargy in dogs. This is a sweetener in many human medications and foods that is toxic to pets. It can cause life threatening low blood sugar and liver failure - so please check the ingredients for this pet toxin before giving your pet anything make for people! Some mushrooms can lead to liver failure and death. Bones that may cause cuts or get lodge in your pet's gastrointestinal tract and fatty foods that may lead to life threatening pancreatitis. So, even though your pet may give you that sad look while you're eating your bacon or steak, don't give in! There are many medications that people can take that dogs should not take such as Ibuprofen which can lead to kidney failure. So, if you're wondering if your pet can safely take a medication you have at home - check with your veterinarian first! If your pet has recently been around or possibly ingested any of the plants listed above, and exhibits symptoms such as sluggishness, weakness increased heart rate, excessive drooling, lack of coordination, seizure, diarrhea, vomiting, call our practice at 949-612-2756, immediately.